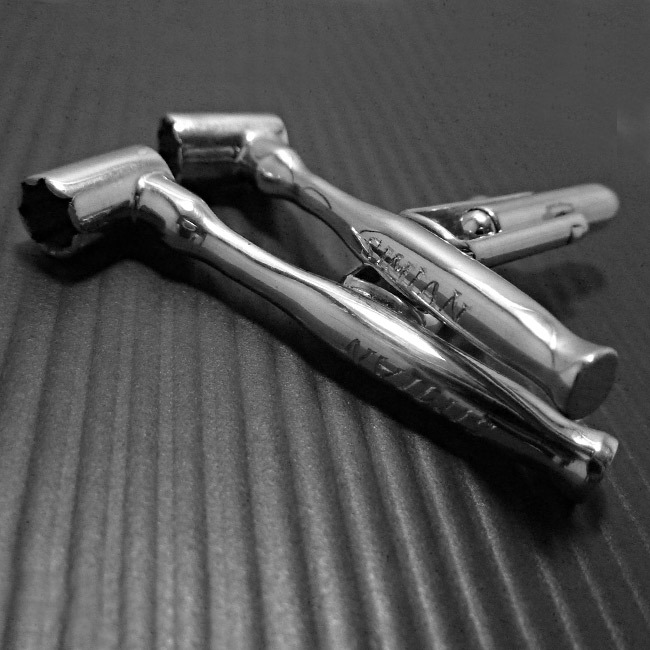 Silver handmade cufflinks designed in the shape of scaffolding spanners. 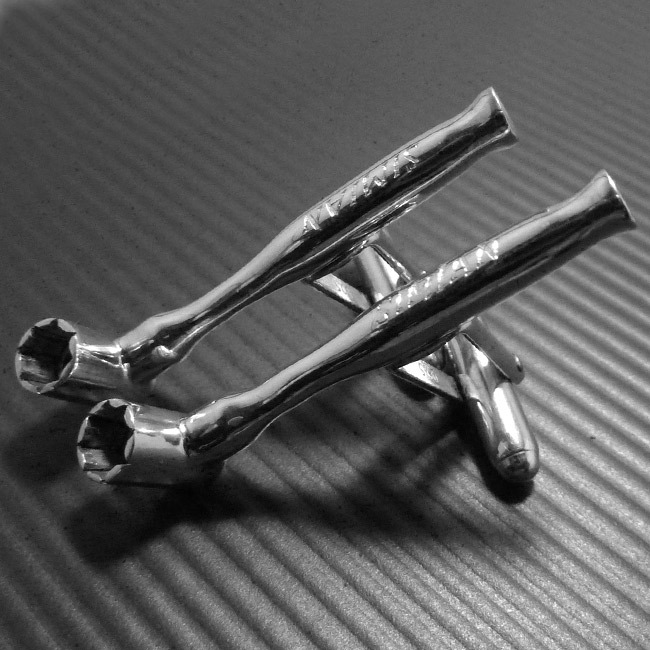 A highly detailed set of sterling silver scaffolding spanner cufflinks, perfect for a Scaffolder. Option to engrave 7 letters – see images for ideas. SKU: N/A. Availability: Out of stock Size: N/A Categories: All Jewellery, Mens Jewellery, Commissions, Wedding Jewellery, Cufflinks. Tags: bespoke silver, commission, cufflinks, handmade silver, LWSilver, scaffolding cufflinks, spanner cufflinks, spanner scaffolding cufflinks, sterling, sterling silver. 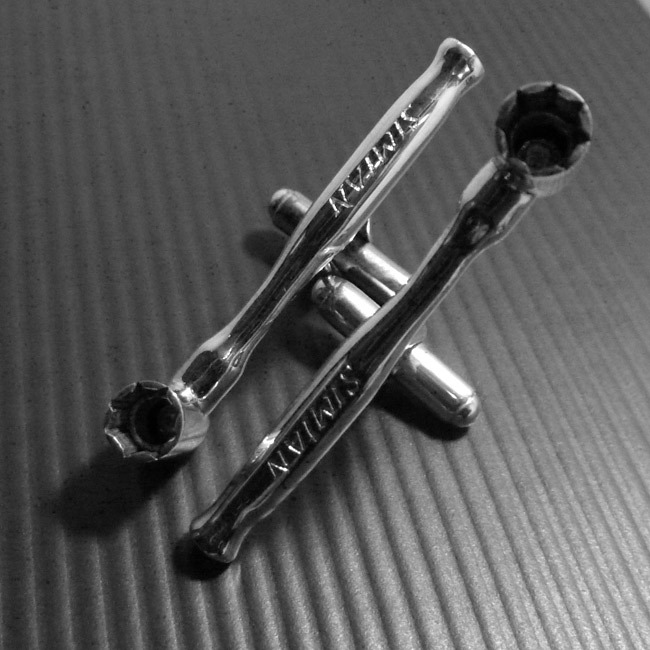 Silver handmade spanner cufflinks. A highly detailed set of sterling silver scaffolding spanner cufflinks, perfect for a Scaffolder. These particular cufflinks were made for the Scaffolding company Simian Risk Group. Presentation: All items arrive in an LWSilver stamped black box with padded insert.